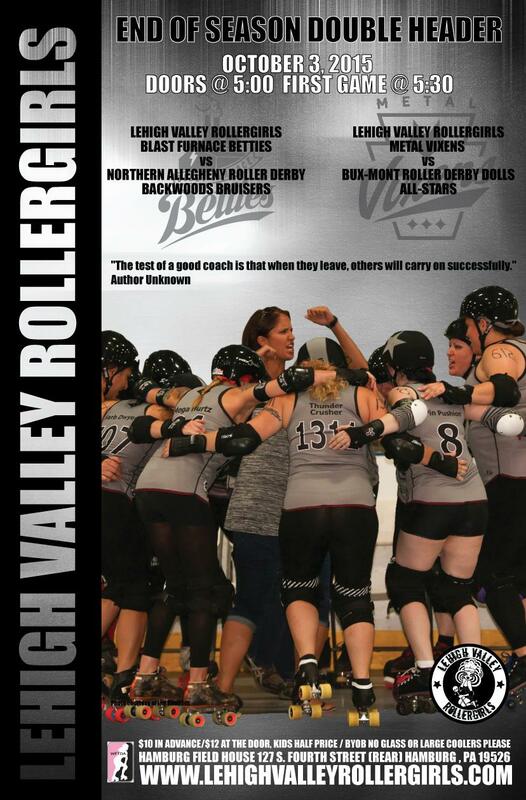 Catch the last roller derby action of the season for our Lehigh Valley Rollergirls! I have to admit, the drive to Hamburg concerned me as well, but it was worth it! There were real bleachers, a real food stand and ample parking just off of Rt 22/78. For real, I liked this place better than any other roller derby venue I’ve been to.